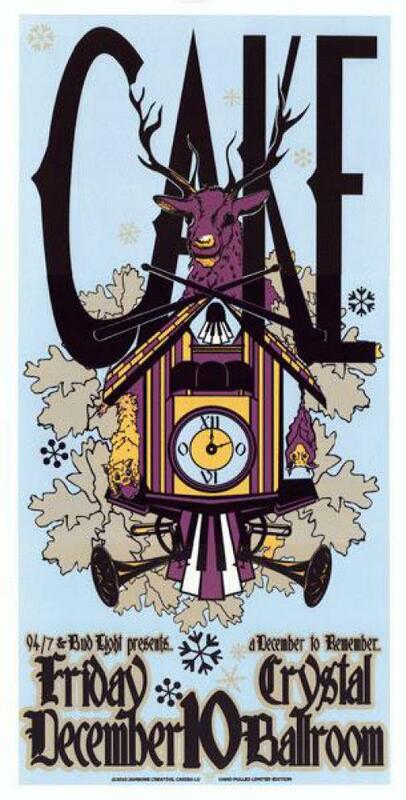 Original silkscreen concert poster for Cake in Portland, OR 2010. 11.25x17 inches on card stock. Signed & numbered limited edition of only 80. Art by Jambone Creative.